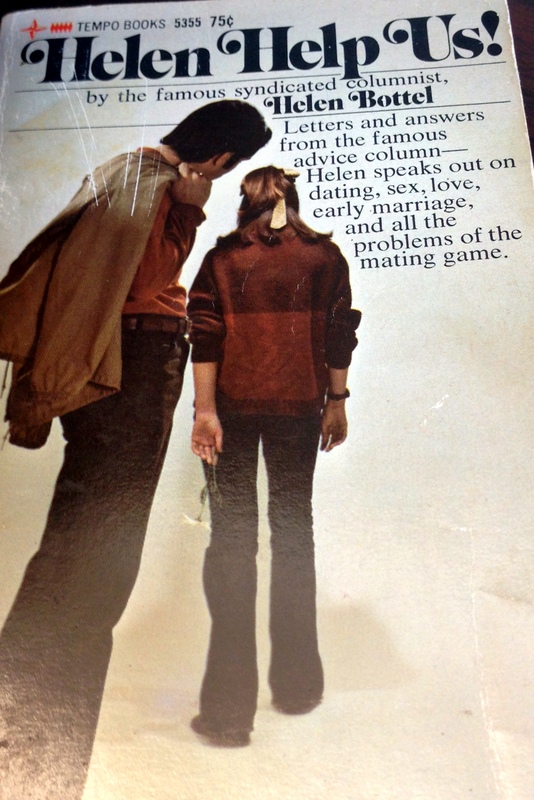 This entry was posted in Books, Weird Words of Wisdom and tagged 1970s, Advice, Books, Children's Books, Helen Bottel, Nostalgia, Retro, Teenagers, Vintage. Thank you for keeping the writings of my mother, Helen, alive. Mom had two more books published as well. Living with this special lady was a gift, daily. My sister, Kathy, and I both had the pleasure of partnering on other newspaper columns with our mother. We wrote Generation Rap in the 70’s and 80’s. Kathy and mom wrote a column for seniors. Oh…and if you need those other pages, let me know. I likely have a spare copy here! I’m so glad you commented! I have always hoped that someone who knew one of the authors I write about would share their reminiscences. Though I like to poke gentle fun at the dated advice in these books, I have all the admiration in the world for writers like your mom, who built successful careers at a time when doing so wasn’t easy for women. It sounds like your mom overcame a lot of early adversity, too, which makes her success in life even more impressive. (And, as I alluded to in this blog post, your mom’s advice to readers was usually quite sensible and realistic. I had to dig pretty deep to find “weird” quotes to feature!) It must have been fun working on the Generation Rap column with your mother–I would love to hear more about that.